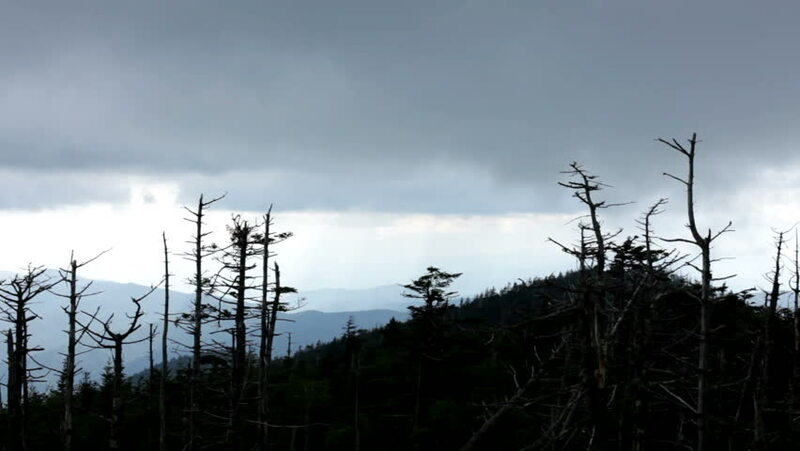 Pan of cloudy mountain area with silhouettes of trees. hd00:23Old dead spooky forest at Night. Camera tracks. Computer 3d rendering animation.